While you're in "town", you best not be going hungry! There are so many great places to eat in our area, it would be a shame if you didn't fill your belly with local offerings! From the freshest sea food, to the finest of steak subs, there is something for everyone. Whether you're on the move to your next adventure, or just looking to chill in a friendly and vibrant environment, the Frog Pond Cafe and Sunset Art Gallery is a must do! With a variety of fair trade specialty coffees and teas, and top notch locally made pastries, they offer a treat that is tough to beat. Further along on the Cabot Trail in North East Margaree, nests this wonderful cafe! The first thing you may notice here is that the parking lot is usually fulll; don't let this discourage you - since it is full for good reason! Inside you will find a wide selection of delicious breads, pastries, desserts, and a full specialty coffee selection. Their breakfast and lunch menus offer a great selection of delicious and generous meals. 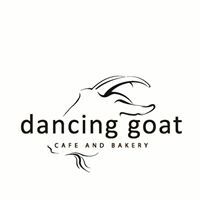 People from all over the island make the trip to North East Margaree solely for their Dancing Goat fix! After a busy (or lazy) day of taking in your beautiful surroundings, be sure to stop by Le Gabriel to enjoy some local Acadien fair, great sea food and music. "The Gab" houses both a dining room restaurant, and a live music/sports lounge which features nightly high end musical talent from 7pm-9pm. Good grub, good people, good times! Their burger is "Da best!" This seaside cafe and grill situated on the main drag in Cheticamp serves up great seafood and mainstream dishes, paninis, sandwiches, and breakfasts with fast friendly service. My personal favorite breakfast spot in Cheticamp! Enjoy home-style cooking in a relaxed atmosphere with an amazing view of the river & Margaree Harbour. Seafood a speciality. 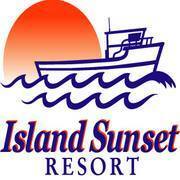 At The Island Sunset, every dining experience is special. The casual elegance of the ocean front dining room is a beautiful location for you to enjoy the resort’s epicurean delights that their culinary team prepares with skill and care. Fine dining with an incredible view! Live music on select evenings. "We offer a wide variety of items on our menu and we are certain you will find something on there that you will enjoy! We offer fresh seafood, pasta, steak, ribs and MUCH more (kids menu available). Our casual bar is a great place to start off your evening, then make your way to our screened-in patio where you can wine, dine and capture an amazing sunset overlooking the ocean... "
The LeBlanc Family and their amazing staff awaits you this summer!!!!!! The Normaway is noted for serving wonderful country gourmet meals in a bright and open dining room in full view of gardens, fields, and the surrounding hills. Savour some of nature's delights at breakfast and at dinner. Let us make you a picnic lunch for your day of exploring. Look forward to our special "porridge bread" and oatcakes, tasty soups and chowders, Atlantic salmon and scallops, Cape Breton lamb, and more. Leave room for our delicious desserts. The dinner menu changes daily to provide interest for your extended stay. Our wine list is carefully selected to complement our fine food.